Packaging Illustration Featuring Yet Another Cheeky Fox…. 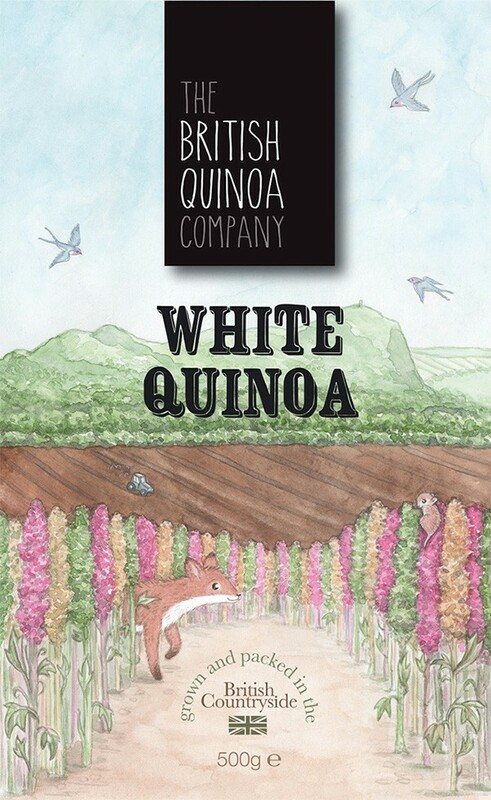 I was so pleased to be asked by The British Quinoa Company to work on illustrations for their packets of home grown British Quinoa. Mainly because its right up my street illustrating endearing animals in a natural setting, but also because the job came from Hire an Illustrator, which was exciting! We worked on rough line drawings first and then I created colour roughs to get the colours just right for them before moving onto the final artwork. “Joanna has been excellent to work with on our packaging designs. She took our initial concept and put her unique style to it, to create a visually stunning piece of artwork. Graphic design elements were added by Carl Jones and the finished product has gone to the printers. Can’t wait to see the packets in the shops! 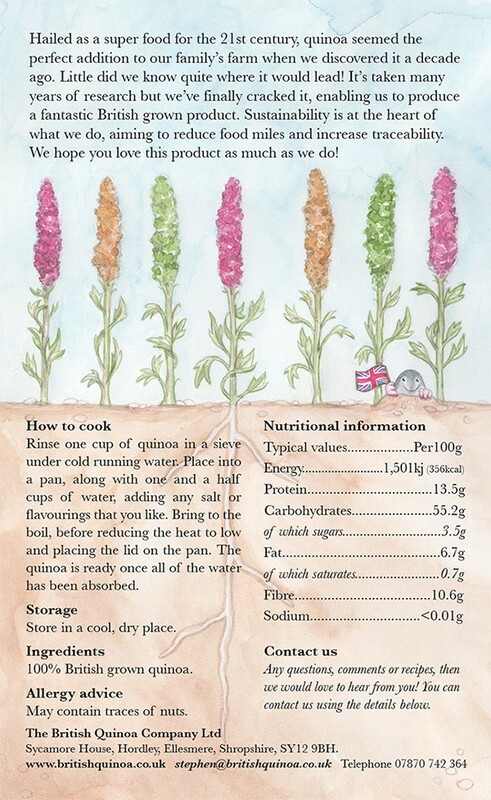 Read more about… Packaging Illustration Featuring Yet Another Cheeky Fox….